Pour glue into a disposable cup (for easy clean up! ), add 1 tbsp of water and a few drops of one food color. Mix well with wooden sticks. Repeat these steps to make other colors, then braid the colors together when finished. Slime can be stored in a plastic bag or air-tight container in the refrigerator. 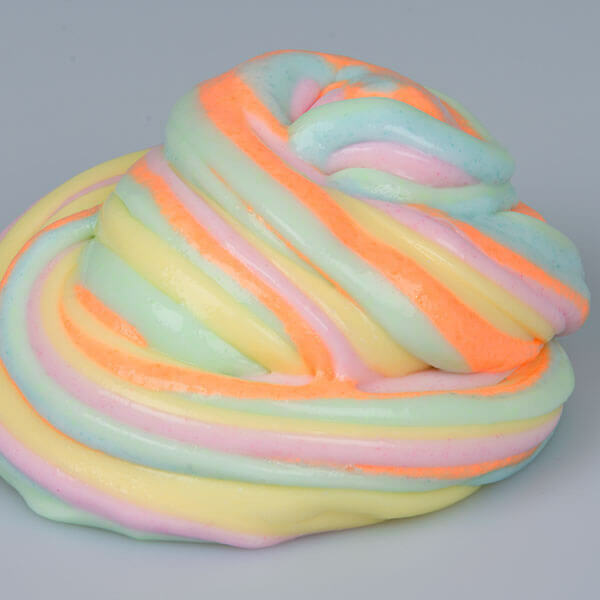 NOTE: Under NO condition is Ice Cream Swirl Slime meant to be put in mouths or eaten!